ADVENTURE TOUR in STYLE and CLASS... STELVIO PASS in the Italian Alps is known as the "greatest driving road" in the world, with 84 hairpin corners at an altitude over 9,000 feet, and it's also the testing ground for the Moto Guzzi Stelvio 1200 NTX ABS. 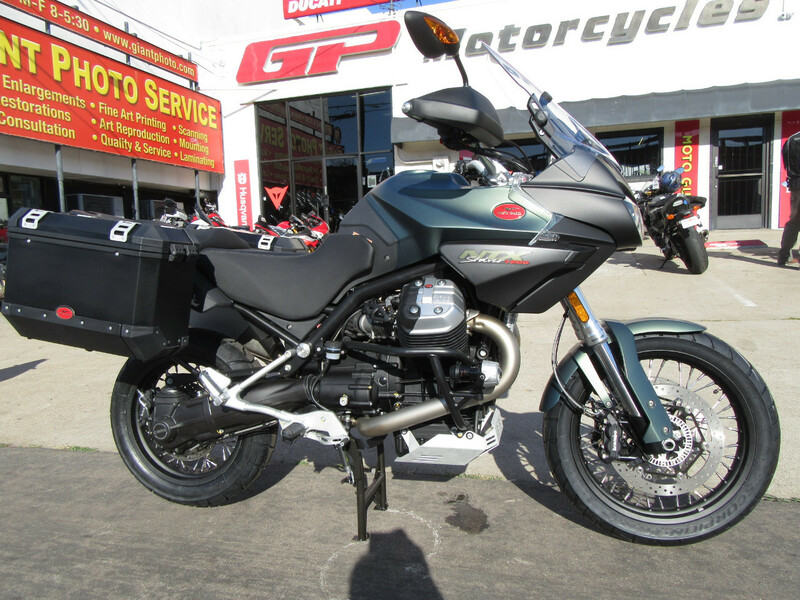 The Stelvio 1200 NTX ABS brings together Moto Guzzi character with state-of-the-art performance, design and an 8.5 gallon gas tank perfect for long distance riding. 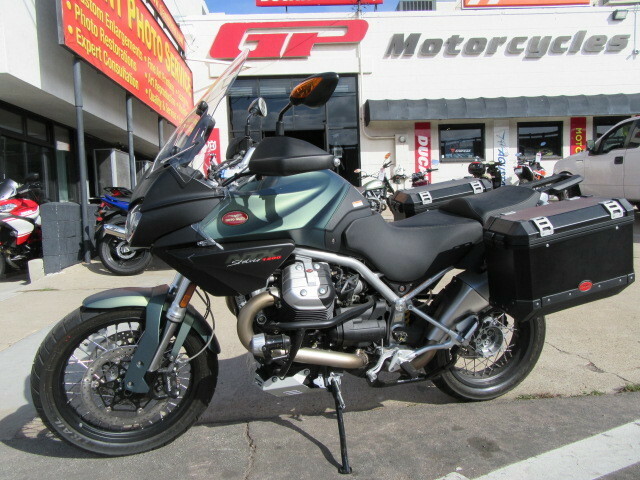 Standard with: ABS, Automatic Traction Control, Aluminum SideBags, Handguards, and Adjustable: Wind Screen, Saddle Height, Handlebar, Clutch Levers and Foot Pegs. Was $16,190! Price includes all mfg. incentives..